Qualcomm’s legal troubles are only getting worse. Already embroiled in several lawsuits with Apple, Qualcomm was fined $1.2 billion (997 million euros) today by the European Union for violating antitrust regulations. At the time, Apple was said to be seriously considering switching from Qualcomm cellular modems to modems made by Intel, but allegedly because of the deal, Apple waited until the agreement was about to expire in 2016 to begin dual-sourcing 4G LTE chips for the iPhone, when according to the EU investigation “the cost of switching under [Qualcomm’s] terms was limited. According to Bloomberg, Qualcomm’s $1.2 billion fine is the third highest antitrust fine in EU history. The award for the EU’s largest fine ever goes to the $3.6 billion sanction levied against major automakers, including Vovlo/Renault, Daimler, and others, for colluding on tricking prices over 14 years. In second place is the less exciting, but still hefty $1.67 billion (1.35 billion euros) fine levied against car glass producers in 2008 over illegal market sharing and price fixing. 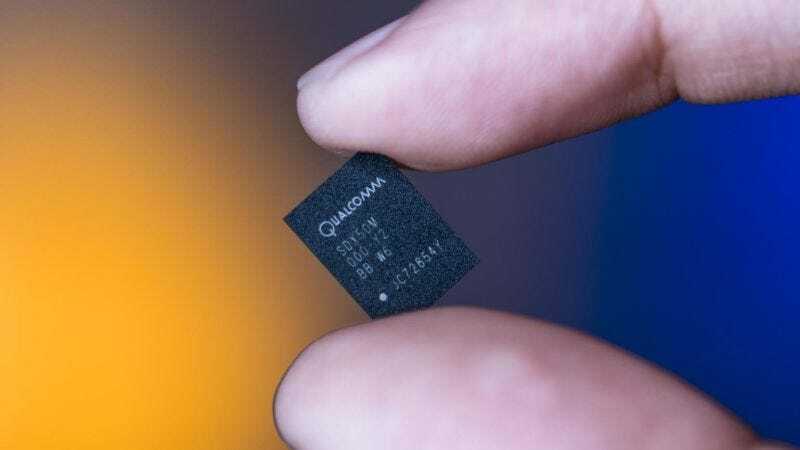 Qualcomm says it is planning to appeal the sanctions, though with the company also fending off a potential hostile takeover from fellow chip maker Broadcom, Qualcomm’s resources may be stretched perilously thin. And the bad news doesn’t stop there, because Qualcomm could be looking at a second set of fines from the EU based on allegations that Qualcomm intentionally sold modems to Nvidia at below cost from 2009 to 2011 as a way to exclude rivals from competition. Correction: A previous version of this article stated that Apple began using Intel chips after its agreement with Qualcomm expired. In fact, it began dual-sourcing chips just prior to the end of its deal with Qualcomm. We regret the error.